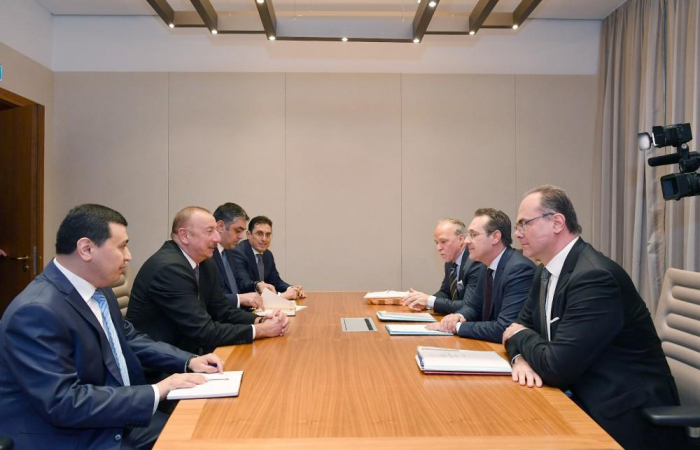 President of the Republic of Azerbaijan Ilham Aliyev has met with Vice-Chancellor of the Republic of Austria Heinz-Christian Strache in Vienna. Recalling his meeting with the Austrian vice-chancellor in Baku, the head of state said that they had a broad exchange of views on the bilateral cooperation at that meeting. Praising the successful development of Azerbaijan-Austria relations, including political and economic ties, President Ilham Aliyev emphasized the importance of his visit to Austria, as well as his meeting with the vice-chancellor in terms of expanding cooperation.